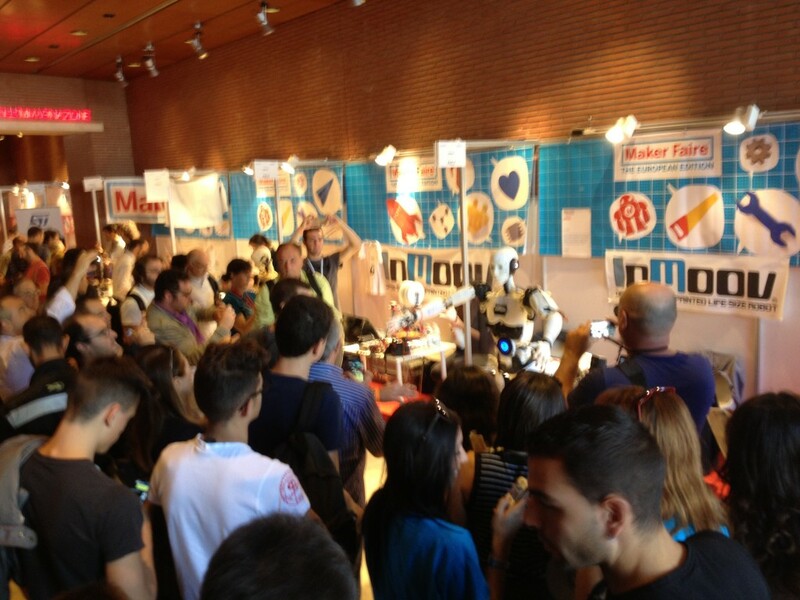 This month was our second Makerfaire in Roma since I started the InMoov project. We got there just in time with the airplane to get ready with the robot for the next day opening. No problems with customs. 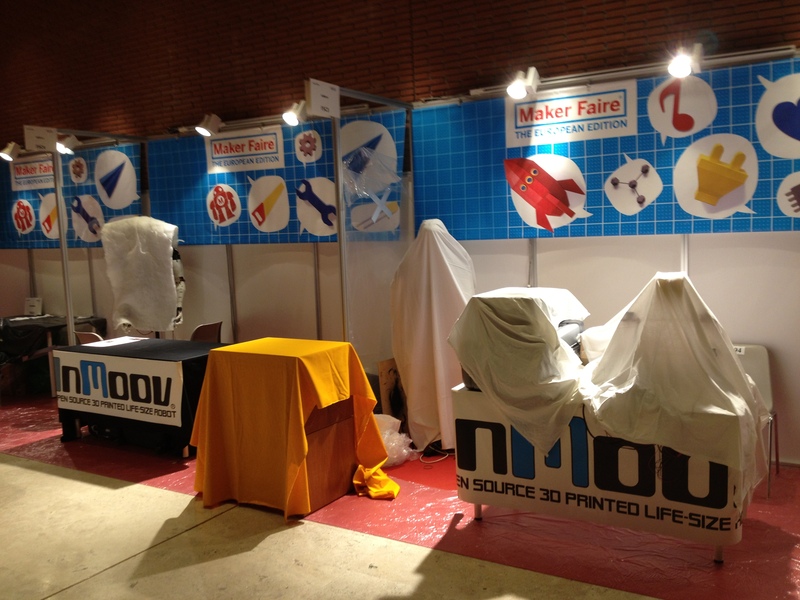 We were set along with the French Makerfaire team, Barbot, Bertier Luyt and Jean-Baptiste and 3DprinterX tattoo Machine. Alessandro Didonna was already on the set with his girlfriend, along with Bram Geenen of Wevolver. The location we had was perfect, a huge place with a lot of people passing through, not too much noise, which is good when you talk to the robots. As planned, there was also Leon and Marten, that had a booth. Unfortunatly they were far away from us, and we only saw each at the end of the days when it was time for Pizza!!! 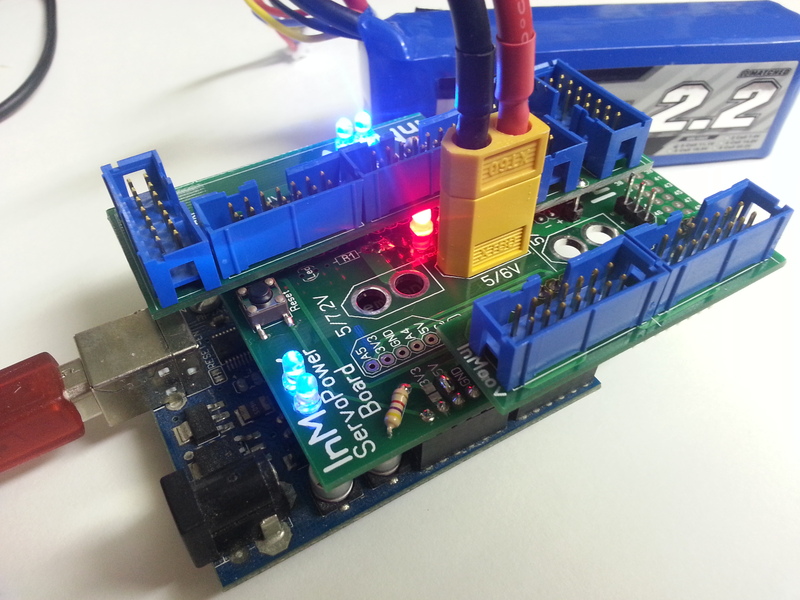 They had brought their DIY Gimbal camera stand, a very well made Submarine (1m20) and the second version of the InMoov Nervo boards all ready and soldered to be mounted on the Arduino boards. Alessandro also got a kit. 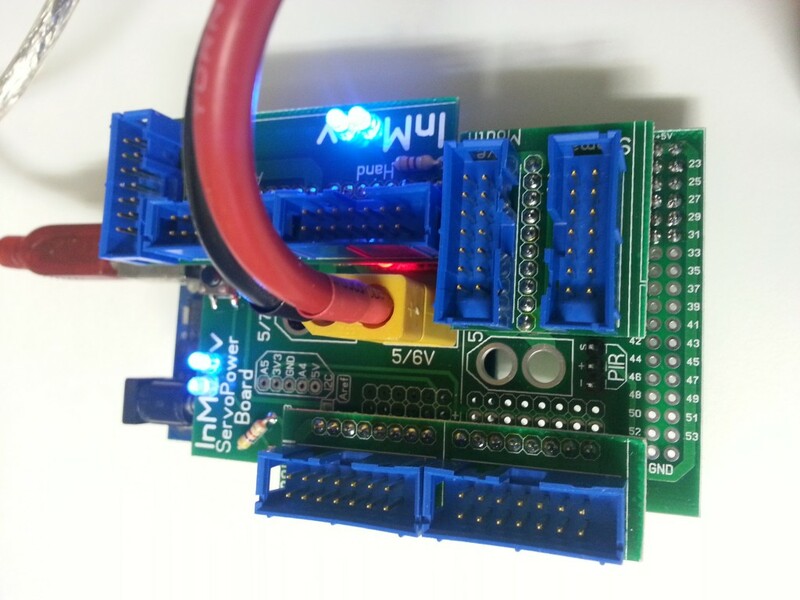 They offered me for my birthday an extra Arduino Mega board!!! Thanks guys! Alessandro had brought his InMoov robot and was ready to demonstrate his DIY Oculus Rift working along with a accelerometer which could control the head and the arm of the robot. The crowd liked it very much. We also have been able to demonstrate the kinect for the first time in public, although it wasn’t ideal because the kinect skeleton would catch anybody in the crowd, which made it a bit hazardous to work. 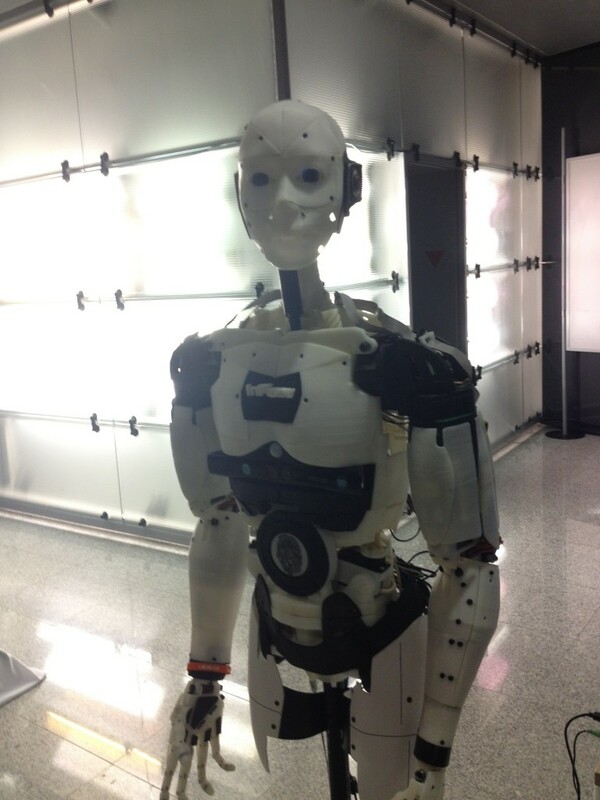 We had the surprise to see Leonardo Triassi which had presented his blue and red InMoov last year. 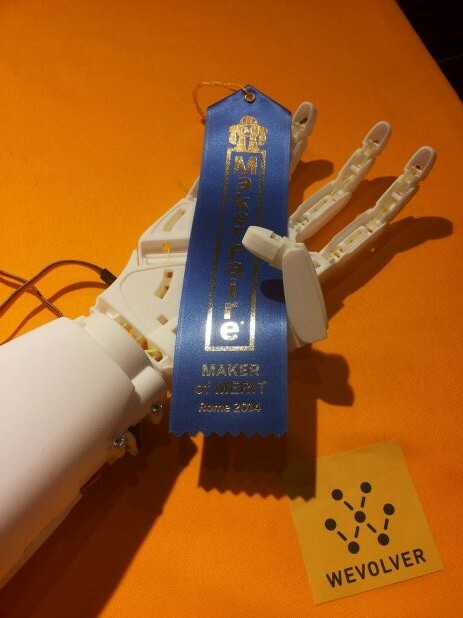 InMoov won 7 blue Makerfaire ribbons in Roma this year!!!!!!!!! Good TV and Press interviews, still need to wait to see them published. There will be a documentary on Raï Uno. In NYC check at 3:30 for the interview of Richard Hulskes of WeVolver. 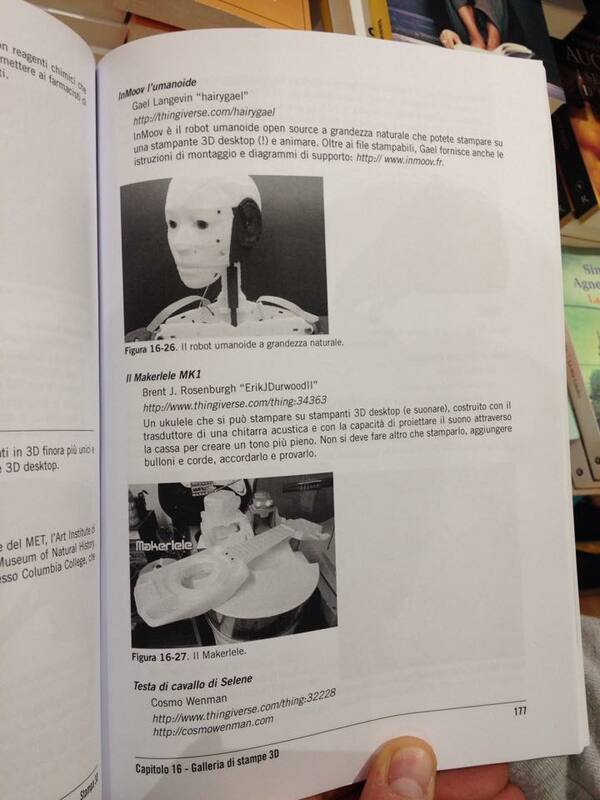 InMoov is mentionned in the MAKE book about the 3D printing. There is also a English version. Bram of Wevolver presented the InMoov hand kit as a prototype to see the reaction of people. 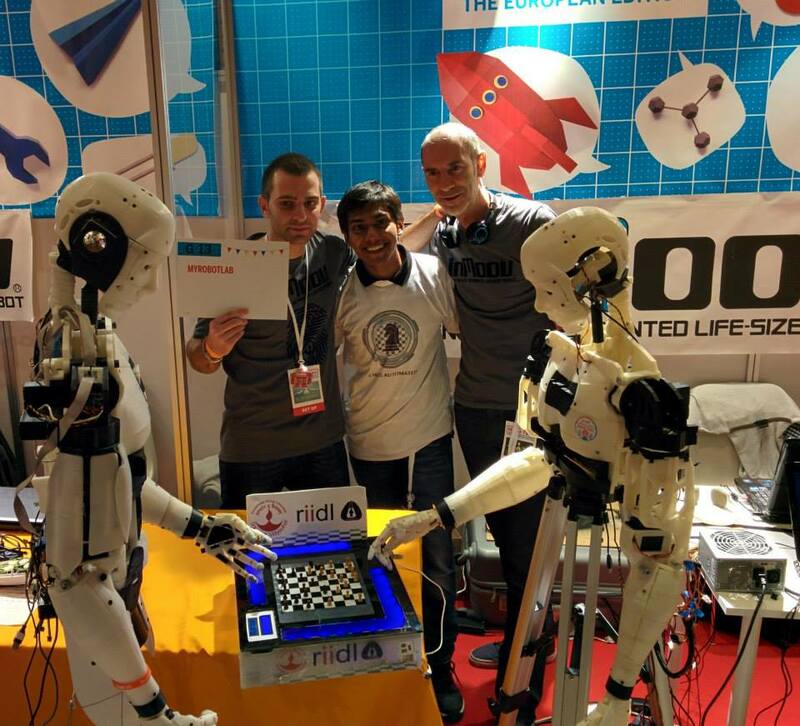 The InMoov team, Myrobotlab members (Riidl Chess) and WeVolver meeting Massimo Banzi! 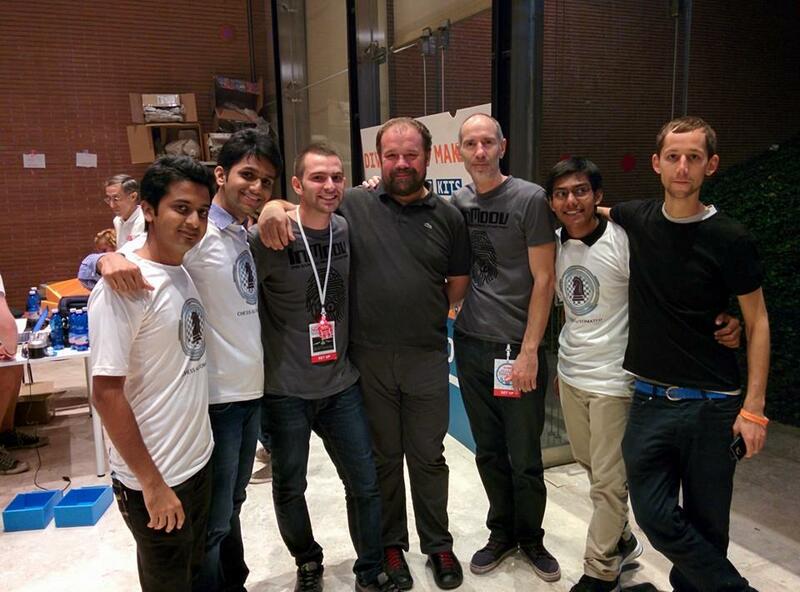 From left to right: c Bhavya Gohil, Allen Mendes, Massimo Banzi, Gael Langevin, Aatur Mehta et Bram Geenen. Here are the links to the different parts I modified and updated during this month of October. The bicep and shoulder parts are not easy to replace. It took me a whole day to dismantle my previous version and to install these new parts but it is worth it if you plan to travel with InMoov in airplane like I do all the time. Although Forrest Higgs had already modified the piston and base for the bicep, I didn’t re-use his posted parts because I realised that extending my original parts, like he did, created unsmooth surface on the piston thread. I did keep his diameter because it is good and sturdy. The new eye part will help you adjusting the eyes to get them straight and not crossed eyes. The neck parts are also reinforced and allow a wider up and down range movement. For the hands it is only the bolts that I slightly modified in length and diameter for the “C” ring. 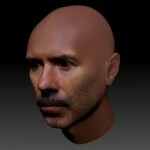 I also went to Tour, in France invited for an evening demo/ show by Alexandre Martel of 3Dnatives. I got to test a little bit the Nao Robot, unfortunatly he had the same sound problems as InMoov, when it got crowdy and noisy, he wouldn’t listen either. And to finish the month of October I was also invited in Rennes (France) for the Opportunités Digital au Champs Libres on a prototype run for Bionico. During 4 days we worked to get my new designed InMoov prosthetic hand wired correctly to get it adapted with the Advancer Technologies myo electric sensors. The goal was to make it work on Nicolas Huchet. Unfortunatly Nicolas had forgotten to order the drivers to operate the motors I had selected. But there was so much work to do, it didn’t matter so much. 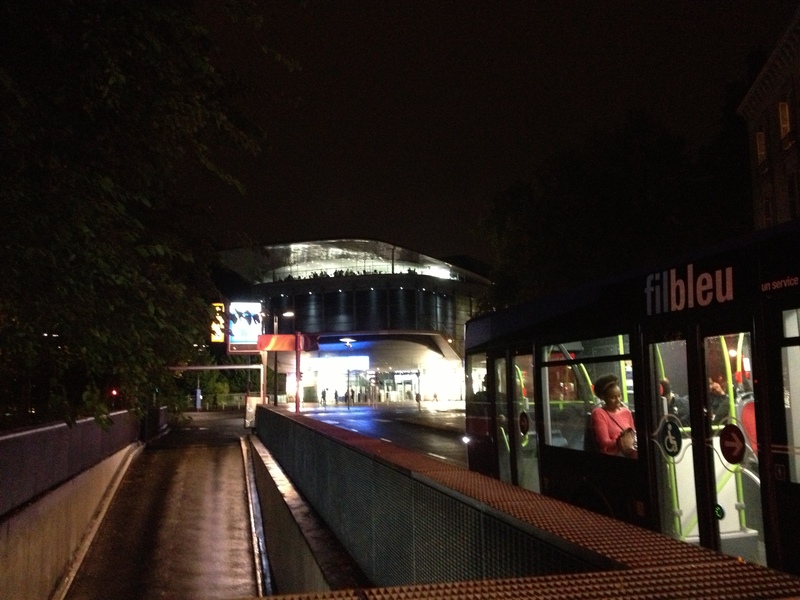 Anyway it was super interesting to meet all those people and to discuss how to proceed. 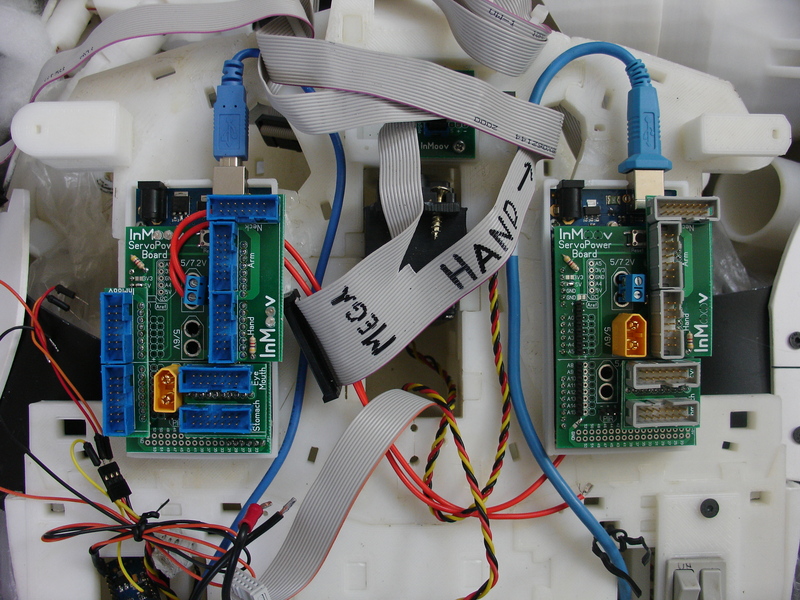 Since they never had assembled the new hand before, it has been a rather good prototype run experiment from which I made a list of some of the modifications I still need to make before launching it on the web. This entry was published on October 24, 2014 / Gael Langevin. 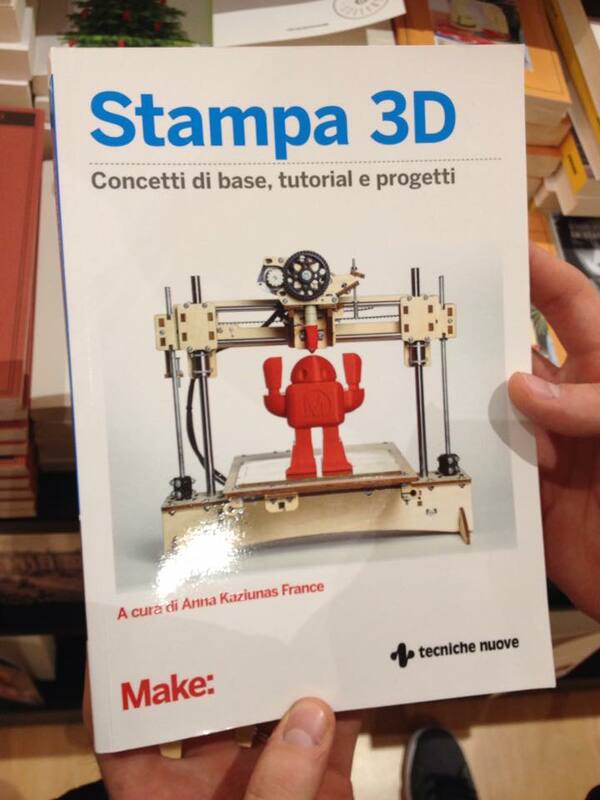 Posted in 3d Natives, bionico, fablab, leonardo, makerfaire, prosthetic, rennes, roma, Uncategorized, wevolver. Bookmark the permalink.